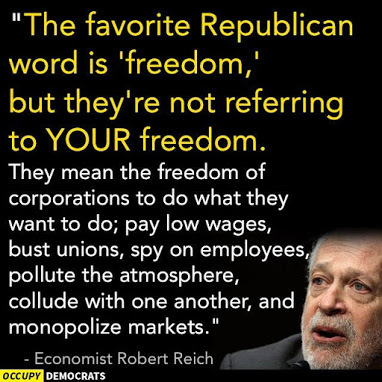 Robert Reich is right on target with today’s toxic political environment. This entry was posted in Inequality and tagged Freedom, Ideology, Inequality, Republicans by Larry Shivers. Bookmark the permalink.